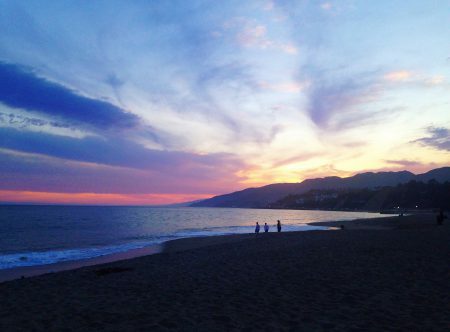 While we all love Pitzer’s campus, the beauty of surrounding southern California isn’t so bad. Check out some of Kat Harhai’s favorite places to explore near campus! It’s no secret that Pitzer has a lot to offer right here on campus. You can sip on a smoothie while listening to live music at Shakedown sounds, attend an art show in the Grove House featuring work that was created by your classmates and friends, partake in an Alley Cat scavenger hunt, hang out at the pool, or spend an afternoon slacklining. 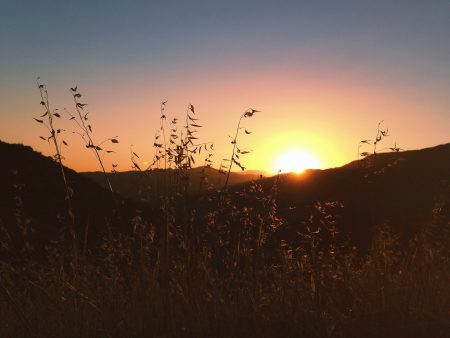 Even with all of the exciting amenities and events that Pitzer has to offer, heading off-campus– out into the beautiful Southern California sunshine– can be a rewarding and rejuvenating way to spend your day. 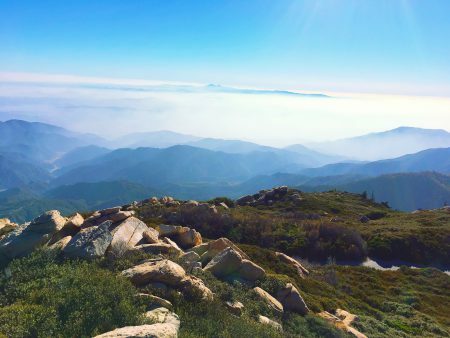 In my three years at Pitzer so far, I’ve discovered a handful of spots in and around SoCal that I believe to be worthy of the highly coveted title, Kat’s favorite places to hangout in Southern California besides Pitzer’s campus. This hidden gem located in Apple Valley has been the spot where I’ve had some of my favorite Pitzer adventures to date. The first time I visited the hot springs was in August of 2015, on a day when the temperatures were nearing the upper-nineties by 1:00 in the afternoon. After a series of wrong-turns, the friends I was hiking with and I ended up getting VERY lost in the Mojave desert, and after 14-hours of walking, hitch hiking, and a handful of emotional breakdowns, we FINALLY made it back to our car. *Pro-tip* for if you’re planning on visiting this spot, make sure you have a good map or very clear directions before you hit the trail! The Claremont Wilderness Trail is a 5-mile loop located North of Pitzer and the other Claremont Colleges. The wilderness trail is the perfect spot for when you’re in need of some time outside and in nature but don’t want to stray too far from campus. If you’re an early riser, this is a great walk or run to do first thing in the morning– you’ll get a great view of the sunrise! For those days when Pitzer’s succulent-abundant/xeriscaped campus just isn’t doing it for you, head on over to the Mount Baldy Waterfall for a little H2O. 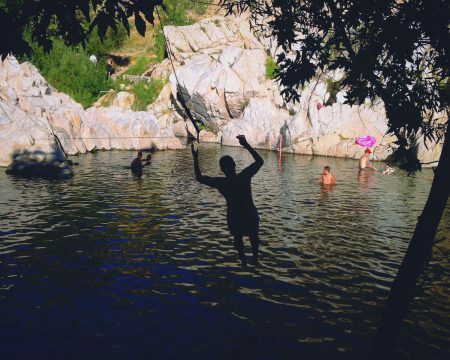 The waterfall is the perfect place to take a dip on hot days (like in the summer months when Claremont gets upwards of 100 degrees Fahrenheit). You can even slide down the waterfall if you’re feeling particularly adventurous! 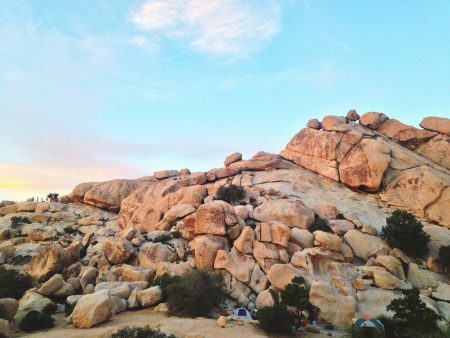 Joshua Tree National Park is one of those spots that you have to visit at least once during your time at Pitzer. The park– which is nicknamed “J-Tree”– is a 2 hour drive from campus, and has a lot to offer: The park itself is a favorite among hikers, car-campers, backpackers, and rock-climbers. For those who want to experience J-Tree from the indoors, there is a town located north of the park with a number of art galleries, restaurants, and a weekend farmer’s market. My favorite memory from J-Tree is the night when a few friends and I hurriedly scrambled up a boulder (with s’mores in hand) to watch the last bit of the sunset. We only caught the tail end of the sun setting over the park, but munching on our s’mores as we watched the sun disappear over the mountains in the distance made for a lovely (and picturesque!) moment. Yes, you read that correctly. This one is definitely not relevant to every Pitzer student, but as someone who has an Emotional Support Animal (ESA) that lives with me on campus, the Claremont Pooch Park is a spot that my dog Scooter and I visit on a regular basis. The park is within walking distance of campus, and it’s a lovely place to go hang out and let Scooter run around with his doggie friends for a few hours! Having grown up in Colorado, colder weather and changing leaves are things that I really found myself missing during my first semester here at Pitzer. Big Bear– which is just an hour away from campus– provided a small taste of home with its mountainous landscape, colorful fall leaves, and crisp autumn air (mm ~poetry~). One of my favorite trips to Big Bear was this past October, when I went on a weekend retreat with a club that I’m involved with on campus. Just about everything that could have gone wrong with that trip did in fact go wrong– beginning with a spilled bottle of Balsamic Vinaigrette that attracted many a critter to our campsite during the night, and ending with a trip back to Pitzer at midnight when we realized that the car keys (along with three of our sleeping bags) had gotten locked inside one of the cars. The only reason the trip wasn’t a complete disaster is that I was surrounded by a great group of people– all of whom laughed through each one of these mishaps and ultimately made the weekend a wonderfully chaotic adventure. Meet the Dogs of Pitzer! 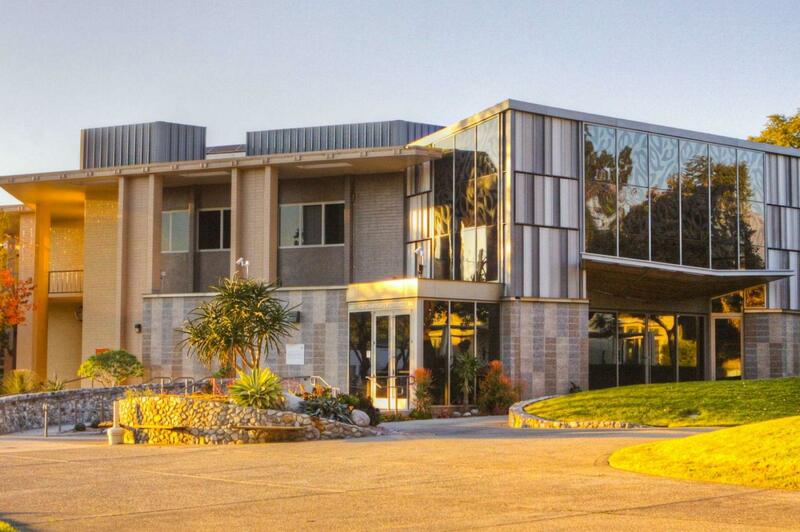 While the people of Pitzer are wonderful, we are also known for our campus dogs! The dogs of Pitzer come in all shapes and sizes and are part of what makes our campus unique. Senior Nat Bentley shares about some of his favorite PZ pups! Studying abroad is an amazing experience, and Pitzer offers incredible direct-enrollment programs in 7 countries along with numerous partnerships and exchanges with universities abroad. AJ Leon ’18 shares her experience studying through Pitzer in Ecuador. 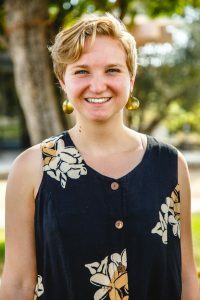 Pitzer Activities (PAct) is a student-run programming board at Pitzer College that organizes a variety of on campus events and off-campus adventures. Check out our favorite things about PAct! Tips for Parents during your Student’s College Visit! Visiting colleges is exciting and stressful, for both students and parents! To make sure both you and your student get the most out of your college visit, don’t forget to ask the important questions while you’re on campus. Whatever the season, whether academic or purely for fun, Pitzer is bustling with lively campus traditions. Read about some of our favorite Pitzer traditions throughout the school year. Which will become your favorite?